Are you in the dark on debt? New research shows two in three Brits with an unarranged overdraft have no idea how much it’s costing them. But falling into debt can affect more than just your finances, so find out how you can get back in control. Around 68% of Brits with an overdraft don’t know how much they’re paying each month, according to research by Finder, a personal finance comparison site. And almost half of Brits don’t know whether overdrafts are more or less safe than a payday loan. 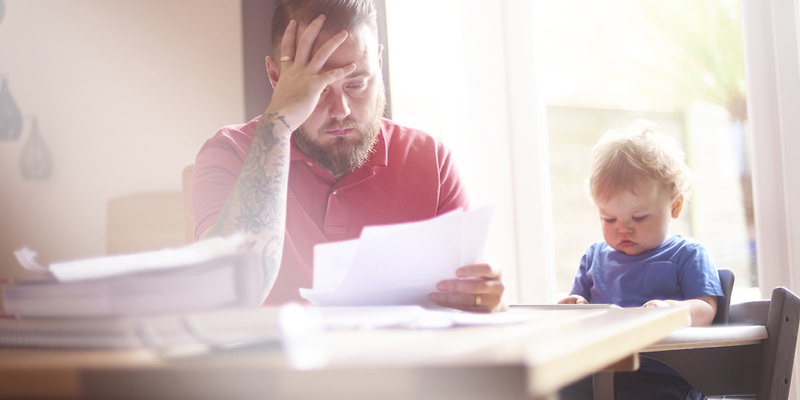 Being in debt can feel overwhelming, especially after the costs of the festive season hit your credit card bills. Yet the better you understand your financial situation, the more you can do to improve it. Which? explains how to manage your debts and pay down your loans in 2019. Is your overdraft debt a problem? Debt isn’t always a problem and most people will have some form of it, whether that’s a mortgage on their property, a credit card or an overdraft on their current account. Where it becomes dangerous is when it’s left unmanaged to spiral out of control. If your total debts (excluding a mortgage) add up to more than you earn in a year, or you don’t quite know where or why you have these debts, or you’re struggling to repay them, then you may well have problem debt. Don’t panic though – even seemingly insurmountable debt can be tackled and you can get back into the black. Your first step should be to take stock and plan. Start by creating a list of all your credit card, store card, overdraft, loan and mortgage debt. Then check how much you owe on each deal and what you’re currently paying each month. Don’t be ashamed if your list includes expensive short term or payday loans. FCA data shows that as a nation we took out 5.4m short-term loans and owed £2.1bn in the 12 months to the end of June last year. Prioritise the debts that have the highest interest rates and plan to pay these off first. Any debts that have an interest-free period – such as 0% credit cards – may be able to wait, but take note of when the interest will kick in. It’s unlikely to be worthwhile saving while you have debt hanging over you. The interest you pay on your debt is usually much higher than what you would earn on your savings, so pay off your loans first. Your next step should be to figure where you can cut back. A household budget is a plan that summarises your earnings and spending habits. It will give you a clear idea of where your cash is going, and where you can make changes to reduce outgoings and boost the money you have to pay off your debt. More than half of people had a budget in 2018, but only a quarter managed to stick to it, according to a survey carried out by Sainsbury’s Bank. It’s not going to be easy, but if you do commit to it, a budget plan can help you work your way out of debt. Find out more: Follow our step-by-step plan for working out your household budget. 3. How much is your overdraft? If you’re likely to go overdrawn on your account, it’s worth contacting your bank to set up an authorised overdraft, as the fees are likely to much cheaper than unarranged overdraft charges. The Finder research found that unarranged overdrafts cost customers at eight major UK banks up to £10 per day. With some banks, customers going just £25 beyond their authorised overdraft limit could be faced with charges as high as £100 over a month. When looking at your overdraft, make sure you understand exactly how much overdraft debt you’re in. It can be tricky to appreciate the size of your debt when the account your salary is paid into is overdrawn and you use it for daily spending. You should set aside a specific target for how much you intend to pay off each month. It may help to move your everyday spending money into another account or prepaid card. Then, try to stick to your plan to reduce your debt over time. To give yourself some breathing room, you could consider trying to shift your debt to a product with an interest-free period. A 0% balance transfer card will allow you to move your credit card balance to an interest-free card, while a 0% money transfer card may allow you to pay off overdraft debt. The interest-free period is generally limited, so you’ll need a plan for repaying the credit card before it ends. Make sure you read the terms and conditions carefully, as any other spending may trigger interest payments. If you’re in dire straits, a payment holiday or debt-management plan can be a lifesaver. But be aware that paying late may be recorded as a missed payment on your credit history, even if the lender has agreed to your plans. This means your credit history could show a series of defaults, which may take a long time to repair. Before taking this type of action, it’s worth seeking advice from an expert. Step Change, a charity, offers free advice to people struggling with debt. Approximately one in four people in the UK will experience a mental-health problem each year and worrying about debt or money can exacerbate the issue. The good news is there are things you can take to improve the situation you’re in, even if you currently feel unable to take the tiniest of steps. Mental-health charity Mind has a wealth of useful information and a supportive ‘Elefriends’ community. The steps above should only be the start of your journey to take back control of your finances. Our new free guide lists 44 tips to help you pay off your debts, from paying less interest on credit cards to the grants and benefits you can claim. Find out more: Read our new guide 44 tips for dealing with problem or managed debt.